DEWUTA Presenter is a mobile pitch book app designed for the home improvement industry. All traditional pitch book material is streamlined into an easy to use app for sales representatives to share with potential customers. Sales representatives who use DEWUTA Presenter were able to close more deals and feel more prepared for their meetings with potential clients. 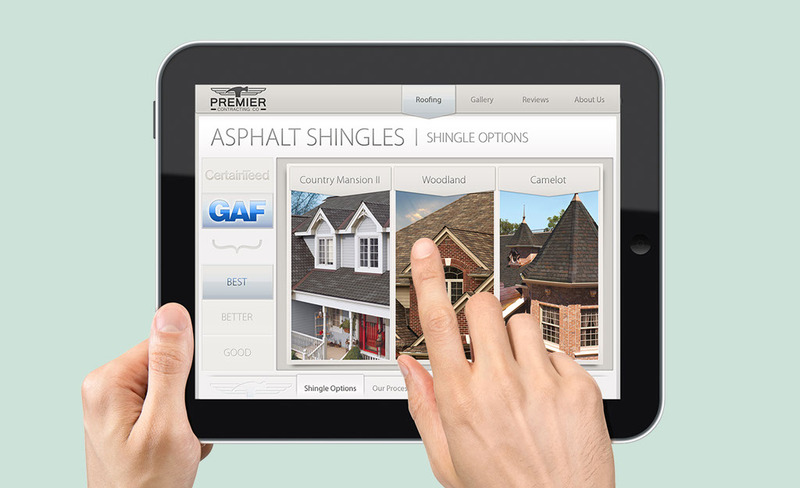 The app was created through an iterative process including many sessions of trial use by roofing sales representatives. We also tested with people were not familiar with the home improvement industry because the app was intended to be easy to navigate by the customers as well. My responsibilities included user-flow mapping; wireframing; interaction design; and visual design.